We greatly enjoyed out stay at the BCMI in Hinton. The hotel was easy to find... off the Yellowhead by the mall in Hinton. 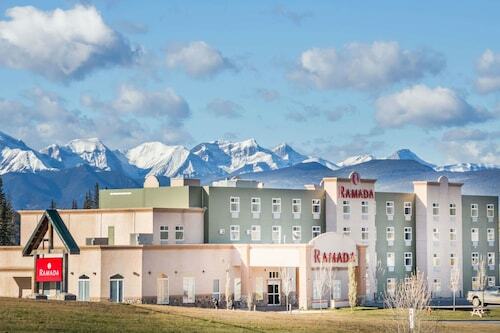 I really enjoyed my stay at the Ramada in Hinton. I will surely like to stay here again when I visit hinton. We loved our stay here and will be coming more often when we go through Hinton. It is a simple unpretentious place that is maintained well. Room was clean and staff very friendly and helpful. They let us use the kitchen area for meals which was great. Two issues: 1) Our friends brought their dog which they kenneled while they were out and were then told the dog could not be left alone in the room, even though they specifically called and asked about this and were told that it was fine. 2) Reno’s going on so hallways/stairwells quite dirty. 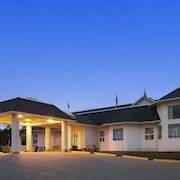 Where to find Hinton hotels near an airport? 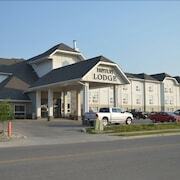 Where can I find hotels in Hinton that are near tourist attractions? 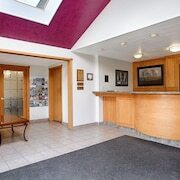 Searching for a handy hotel while you are visiting Hinton? Approximately 14 hotels are located within a 0.1-kilometre (0.1-mile) radius of Hinton's center. 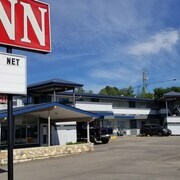 Travelers seeking a great place to stay not far from the center of Hinton, should check out the latest deals at the Holiday Inn Hinton and Econo Lodge & Suites Hinton. The White Wolf Inn and The Crestwood Hotel are closest to the Hinton Golf Club, while the BCMI Inn Hinton and Super 8 Hinton are close to Alberta Forestry Service Museum. 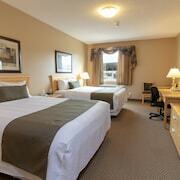 Accommodations near Beaver Boardwalk include the Days Inn Hinton and Tara Vista Inn. 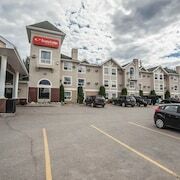 And finally, if your focus is on Hinton Visitor Information Center, your most convenient accommodation options include the Twin Pine Inn & Suites and Hinton Highway Inn. The Overlander Mountain Lodge is 20 kilometres (12 miles) from the center of Hinton. 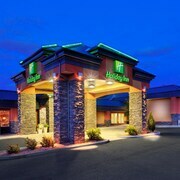 Or, alternatively, the Holiday Inn Express Hotel & Suites Hinton is located 4 kilometres (2 miles) away. Two more hotel options here include the Quality Inn & Suites and the Jasper East Cabins. Jasper is an alternative place where you could stay. It is where you'll find the Jasper National Park and Marmot Basin, and is 65 kilometres (40 miles) to the southwest of the midddle of Hinton. 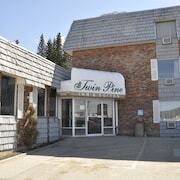 Hotel options in Jasper include The Fairmont Jasper Park Lodge and Best Western Jasper Inn & Suites. 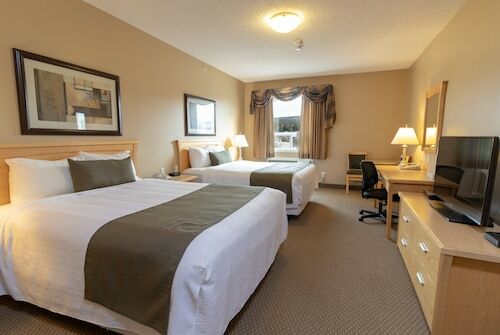 If you are planning on arriving or departing via Grande Prairie Airport, you may plan to stay at Paradise Inn & Conference Centre, or Stanford Inn & Suites, both of which are conveniently located nearby. What are the most popular Hinton hotels? Are there hotels in other cities near Hinton? What other types of accommodations are available in Hinton? Explore Hinton with Expedia.ca’s Travel Guides to find the best flights, cars, holiday packages and more!